I might as well go ahead and admit it: I have a thing for Asia. No, I have an obsession with all things Asia. The food, the culture, the architecture, and the people. Especially the people. Ever since I took a course in Chinese politics, I’ve completely infatuated with the idea of traveling to the Asian continent and spending a month or five exploring every inch of it, interacting with locals, getting lost in translation, admiring beautiful clothing, and sampling authentic Chinese/Thai/Indian/Cambodian/Vietnamese food along the way. It’s a pipe dream, for sure, but I may get the opportunity to make a reality soon enough. In the mean time, I can only fantasize about heading east. I have a bucket list of destinations around the world that I absolutely have to visit, and Mumbai, India is at the top of the list. Well, near the top. Marrakesh, London, Easter Island, and Paris are ahead of it, but it’s not any less important or exciting. Mumbai is an amazing place. Despite what you may have heard or thought before reading this post, it is a relatively safe city, no more dangerous than say, New York City. Formerly known as Bombay, it has a population of 11,914,398 people, making it a bustling city, to be sure. It thrives on tourism, and as such, has a ton of things to see and do during a visit. I’m mostly interested in the shopping. I find it to be incredibly cathartic, regardless of whether I’m shopping for overpriced handbags at Nordstrom’s, or a handmade, no-name shoulder bag at a flea market. 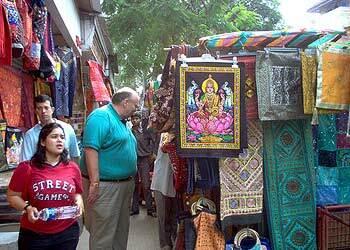 As a recent convert to the “buy local” movement, I have a keen interest in open-air markets. Mumbai has a ton of those, as is fairly commonplace in India and the rest of Asia. The local vendors sells shoes, purses, electronics, food, clothing, etc. Simply put, they have EVERYTHING. And it’s on sale. Well, not on sale, but because most people in India are extremely poor, vendors keep their prices low to draw in customers. Most of those customers are foreign tourists looking to score trinkets to take home and brag to their friends about. I am one such person, but I do it so I can talk about the culture and the people the items came from, and not to talk about how awesome my trip was. I have a tendency to focus on the people I encountered in one place more than anything. Maybe that will change once I finally leave American soil for a bit. Because the city has such a large volume of Western visitors, and a desire to become more “Western” itself, there are mega malls to be found and shopped in. Just don’t expect to find the low prices of the markets in the Mumbai Nordstrom’s. In addition to great shopping, Mumbai is a beautiful city with great opportunities for sight-seeing. From the Gateway of India to the Chhatrapati Shivaji Terminus, there are countless sights to see in the city. 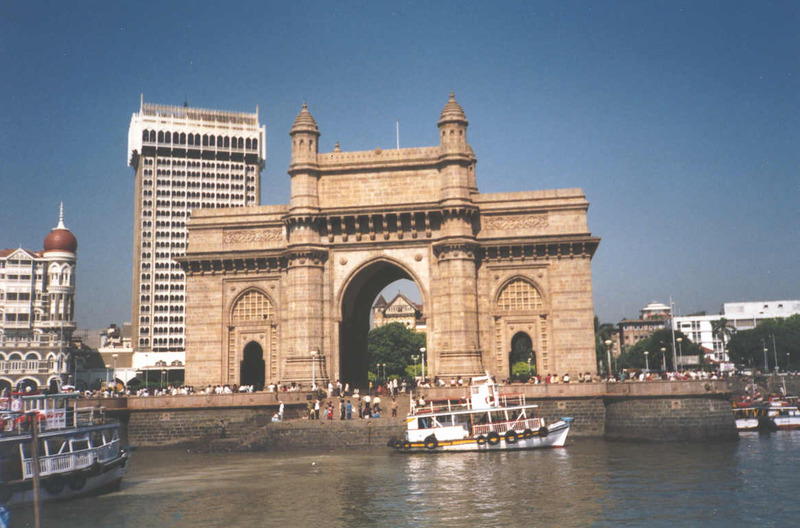 The Gateway of India was built in 1911, by famed architect George Wikket. He built the Gateway to commemorate the arrival of King George V and Queen Mary of England in December of that year. Since then, it’s been a major tourist attraction, having tens of thousands of visitors every year. 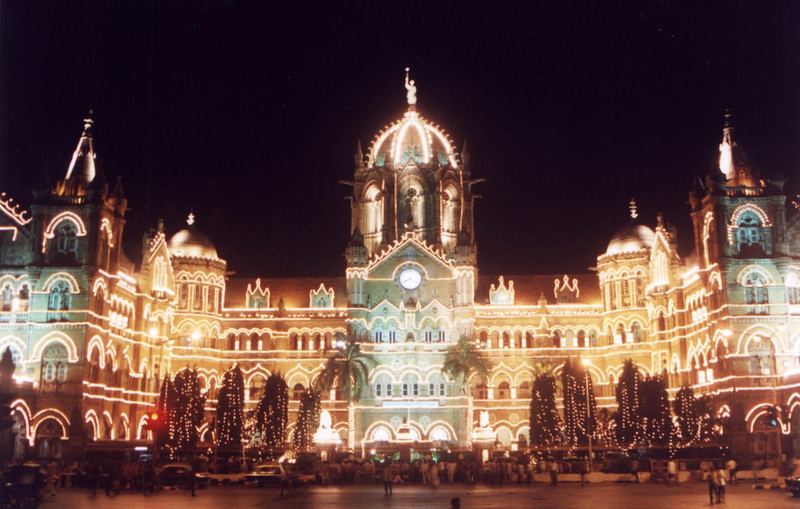 Another huge tourist draw is Chhatrapati Shivaji Terminus, or CST for short. It is an historic rail station that was built in the late 19th century. It is famous for beautiful design, and for being dedicated to Queen Victoria of England. You may have noticed that the architecture of these two buildings resemble something you’d see in London. That’s due to India’s colonial period during which the British controlled every facet of life in India for a few hundred years. And now that my nerd moment is over, let’s move on to the food! Mumbai has a number of local restaurants serving Western and ethnic dishes, as well as hotels with fine dining for the more delicate pallets. However, seasoned travelers will tell you that street food is the option for travelers on a budget, and/or those who want to get the full cultural experience during their visit. 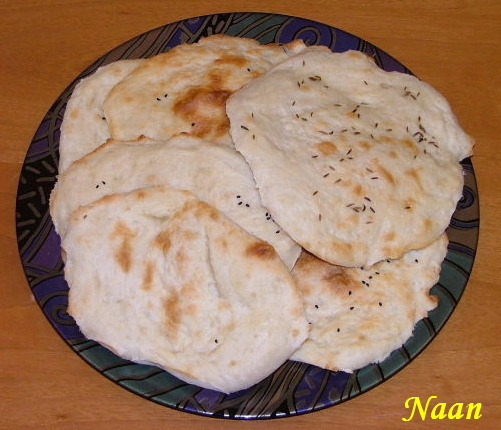 Foods such as naan, tiki masala, and paneer are readily available, and very affordable. Of course, if you have more money to burn, eating in restaurants is a good option as well. As far as accommodations go, it would be best to find an inexpensive hotel to stay in, rather than a hostel. I know that budget-conscious travelers tout the benefits of hostels, but the few hostels available in Mumbai are prone to overcrowding. If you must stay in a hostel, make arrangements with a local university that offers hostel-esque accommodations. If you stay in a hotel, make the reservation before you arrive. It makes your arrival more seamless, and guarantees you a room when you need one. 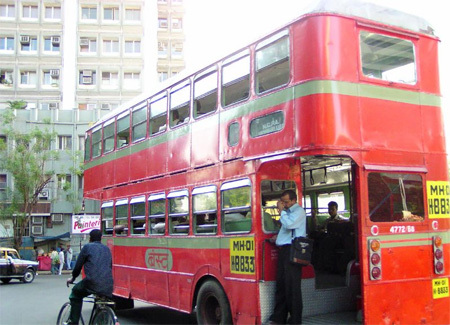 Getting around Mumbai is relatively easy. Taxis, buses, and trains are easy to find, and are affordable. Rail is mostly for traveling across India, so if Mumbai is your only stop, ride the bus, or catch a taxi. If you take a taxi, be sure to tell the driver how much you can pay, and don’t ask for a set rate. Taxis are supposed to be reasonably priced, but drivers try to scam money out of unsuspecting tourists several times a day. If your driver refuses to agree to your price, get out and find another cab. You should definitely do this if he tries to appeal to your conscience and spins a sad tale or two about his hardships and how he barely afford to feed his family. Don’t fall for it. 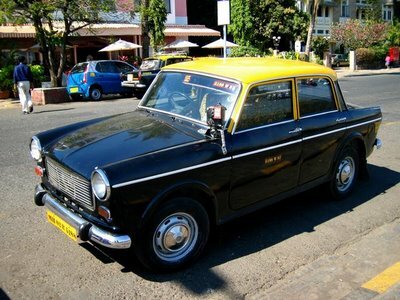 Taxis are a dime a dozen in Mumbai, and throughout India, so it won’t be difficult to find another one. Chances are, however, that your original driver will suddenly agree to your terms. He needs the money, after all, and can’t afford to lose your business. Flights to India aren’t exactly cheap, but if you go during the regular tourist season (October-February), you should be able to get a good deal. Contact some airlines, or a travel agent to find a package that’s right for you.